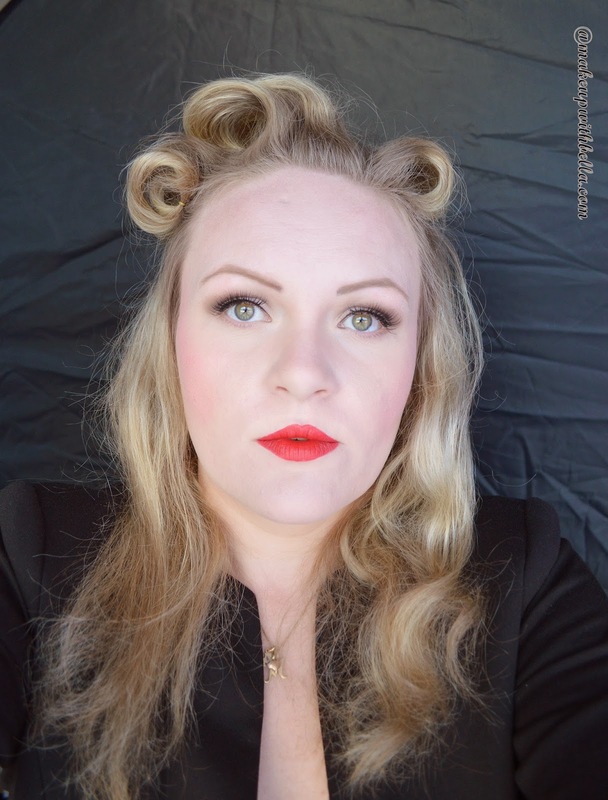 Makeup with Bella: The 1940's makeup look. 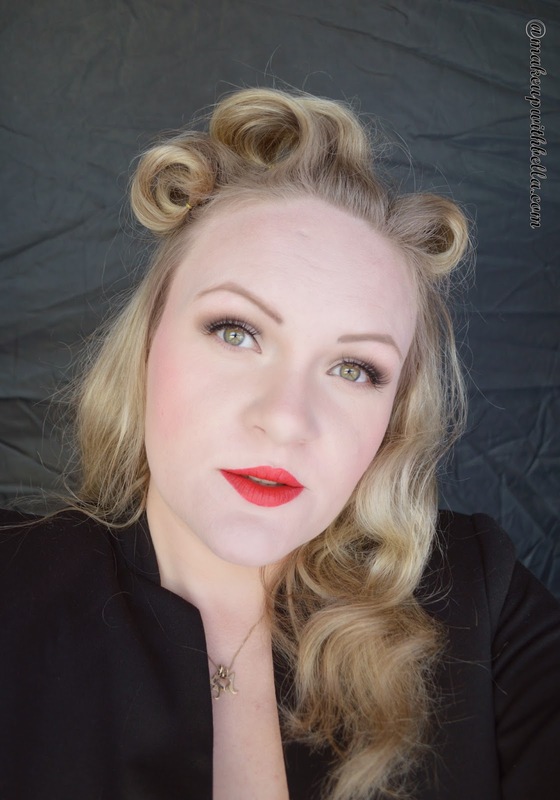 Here it's time for the 1940s inspired makeup look. 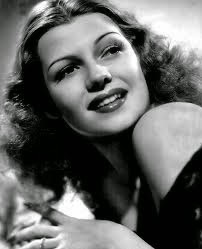 Female movies stars of the 1940s were glamorous and alluring, with makeup that focused on lovely lips and eyelashes. The look was alluring, but not colorful or overdone. 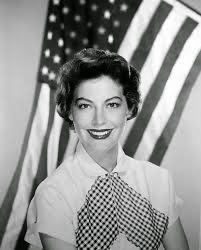 Popular stars of the decade include: Ava Gardner, Rita Hayworth, Ingrid Bergman or Joan Crawford. 1. 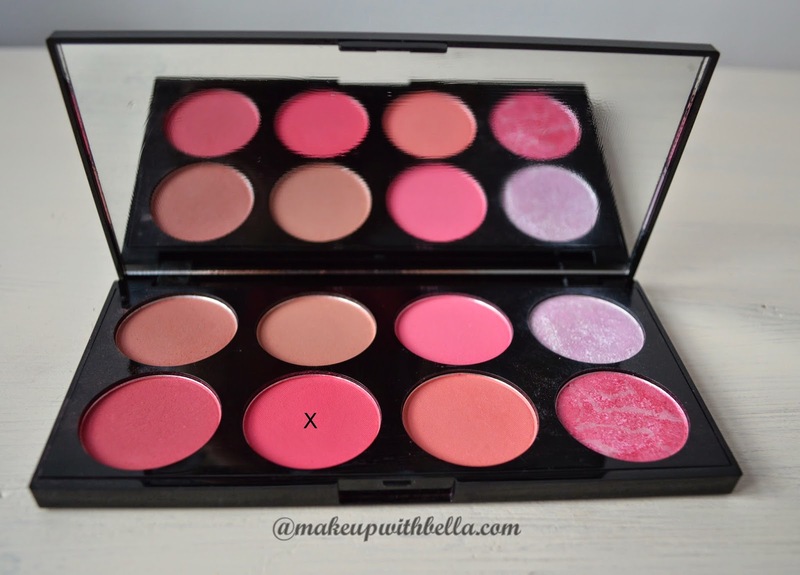 Face- the naturally glowing look were achieved by using a foundation that was slightly darker than the skin tone; then face powder was applied in a slightly lighter shade; rose colors applied out from the cheek apples. 2. Eyes- very little emphasis was placed on the eye shadows, the woman did not wear a lot of eye shadow and applied very natural and neutral colors (grey and brown- toned eye shadows). While very heavy emphasis was placed on the lash line especially the upper lash line and false eyelashes. 3. 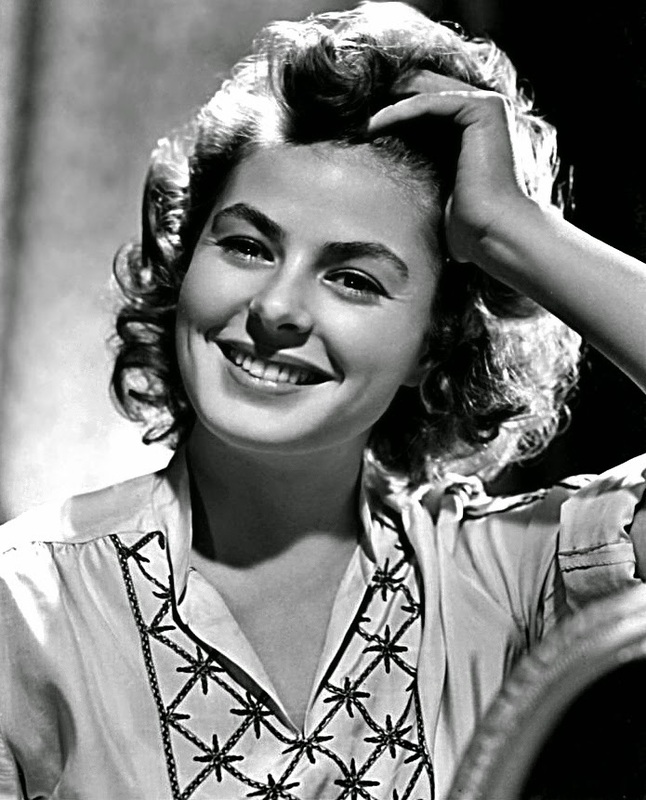 Brows- were much thicker than in the 1930s but still very thin and very narrow and the arch was very well definite. The Vaseline used to groom the shape. 4. Lips- red lipstick is a signature for this period; it could be the bright or deep red color of lipstick; lip liner was also essential and the women very often exaggerated upper lip to get the desired effect. 5. 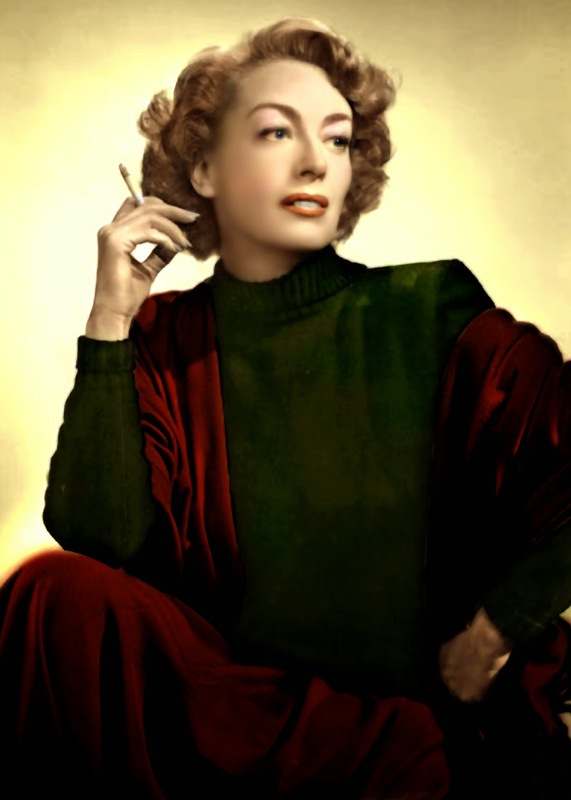 Nails- nail color should match your clothing; many colors were available, form mustard yellow to navy to maroon, but reds and pinks were also very popular; like in the 30s nail color was not applied to the rip or base of the nail; instead, a thin line of nail at the top and the half moon at the base of the nail were left unpolished. 4. 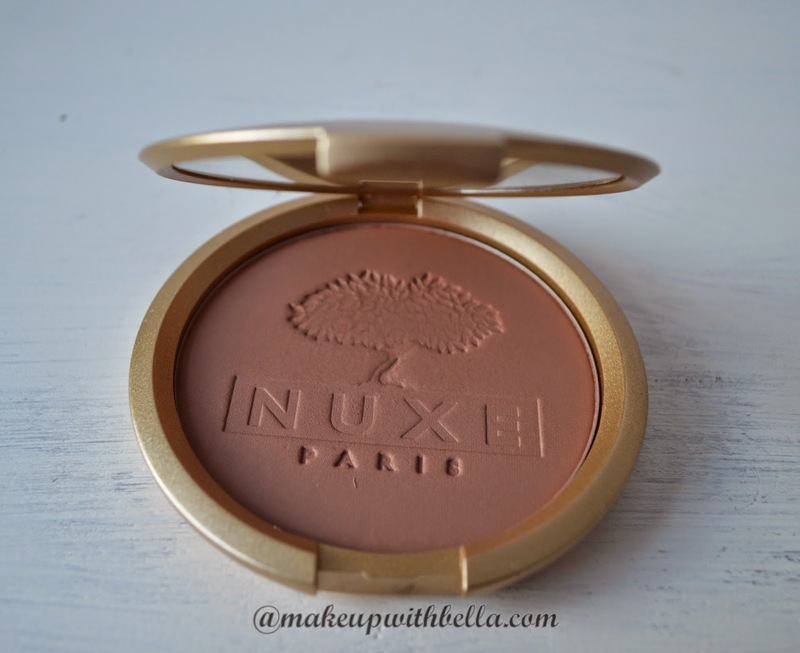 Nuxe Paris, bronzing powder. 6. 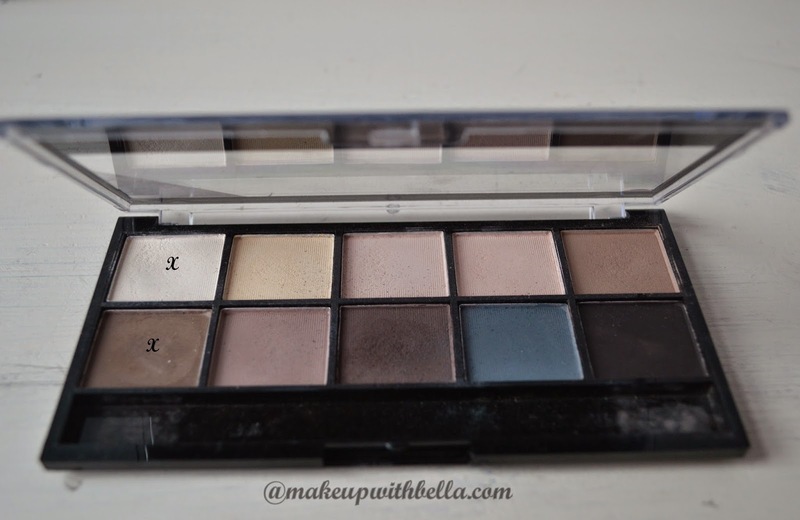 MUA, Makeup Academy Professional, Ever After, Matte Palette (light beige under the eyebrow and on the hole eyelid; the brown color applied in to the crease and blended toward the eyebrow). 9. Kiss, false eyelashes, Iconic, 61657, KFL06C. 10. 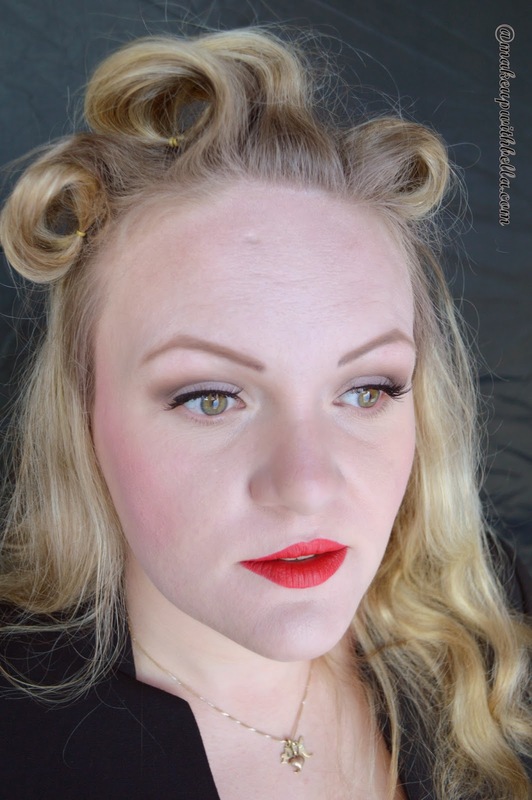 Max Factor, Colour Elixir Lip Liner, 10 red rush. 11. 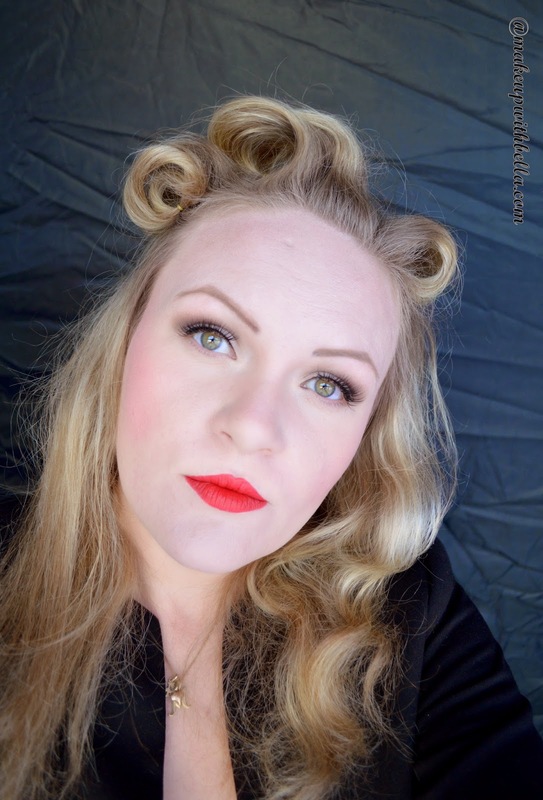 Rimmel London Lasting Finish by Kate, Lipstick 111 Kiss of life. 12. Benefit, The Pore fessional, Pro balm to minimize the appearance of pores. The cosmetics used to created the look.